This is one of the first recipes I made in my awesome Pampered Chef Rockcrok® casserole** and it is definitely a keeper! 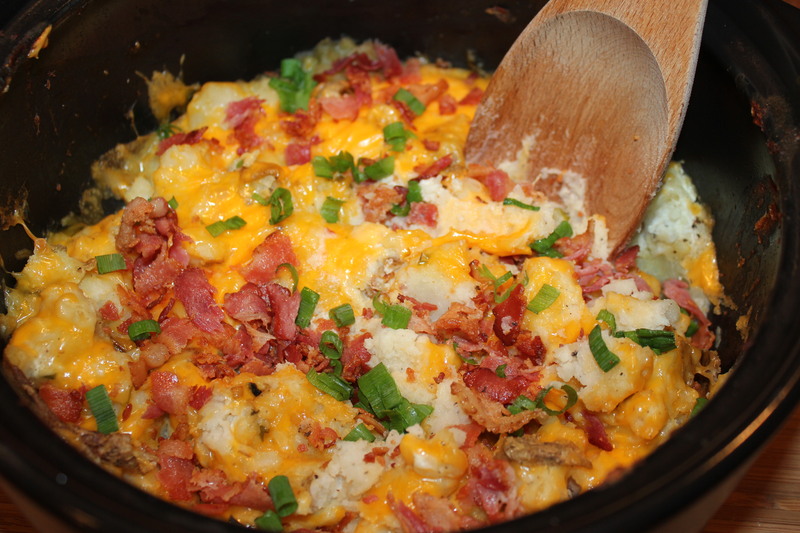 It is so easy to make and the results are absolutely yummy — of course, how can you go wrong with a dish that features potatoes, bacon and cheese? I modified Pampered Chef’s recipe some by using a bit more bacon and cheese. Also, I used nonfat yogurt instead of low-fat, and reduced-fat cheddar instead of regular. But you could never tell the difference, and it does reduce the guilt factor. What I love about using the Rockcrok® is that I took it from stovetop to microwave to oven, with no cleaning among steps. What a timesaver – no extra pans to wash! If you don’t have this amazing vessel, just cook your bacon as you normally would and then switch to a 2-quart casserole (or larger) dish that is both microwave and oven safe. 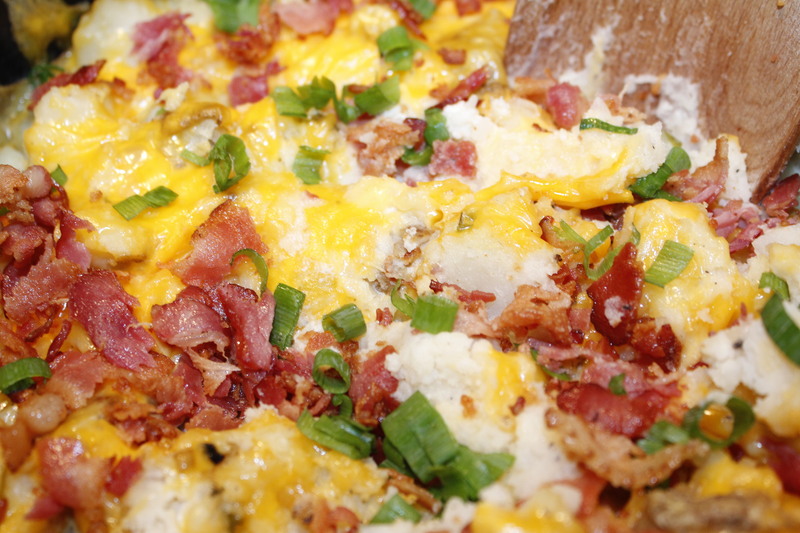 Preheat oven to 350 degrees F. Cook bacon over medium heat in Rockcrok® until crisp. Drain on paper towels. 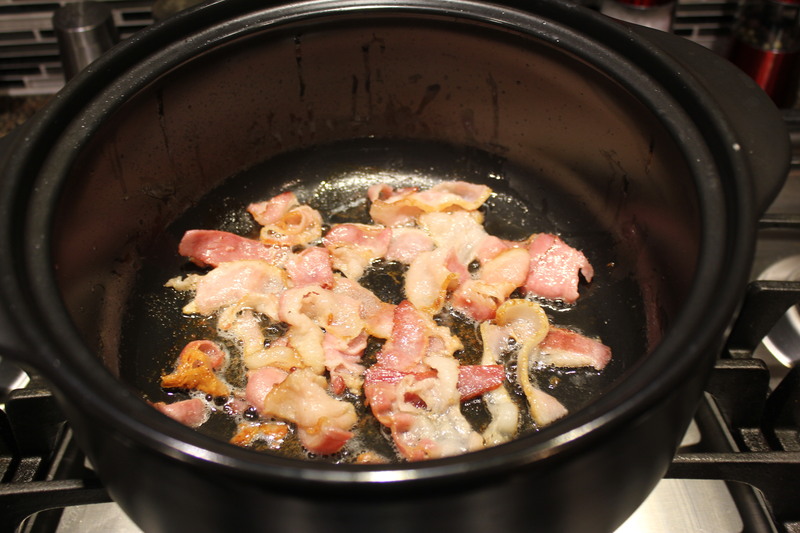 Leave 1 tablespoon bacon grease in Rockcrok® and save the rest, if there is any, for another use. Slice the green onions, both white and green parts. Reserve 1 tablespoon of them to use as garnish. 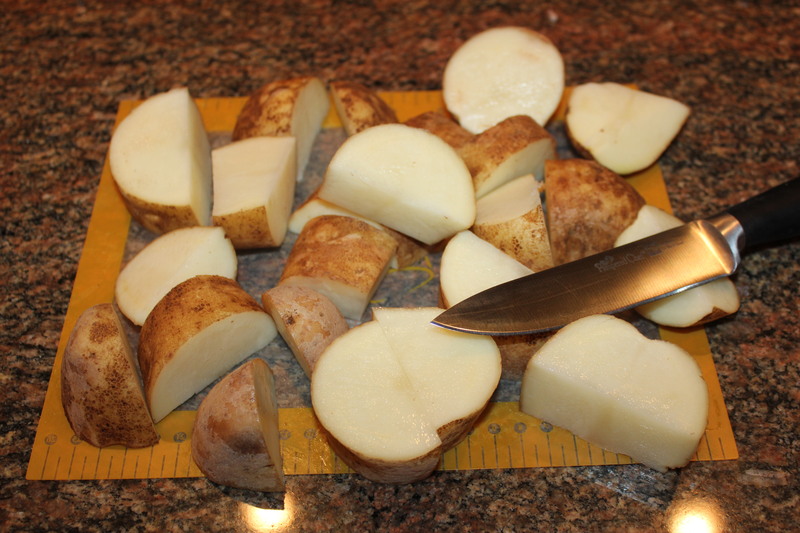 Cut the potatoes into 1-inch pieces. 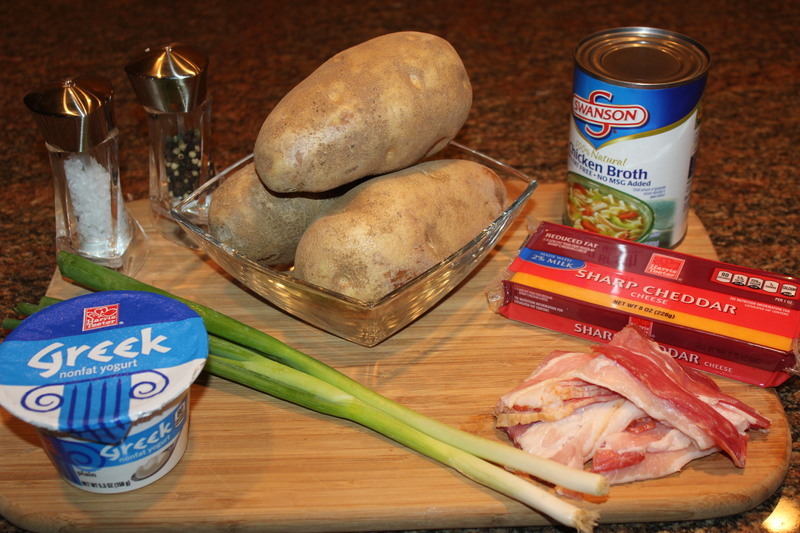 Place potatoes, stock and green onions into Rockcrok® and microwave, covered, for 10-12 minutes, until nice and tender. Stir halfway through cooking time. Remove casserole from microwave. 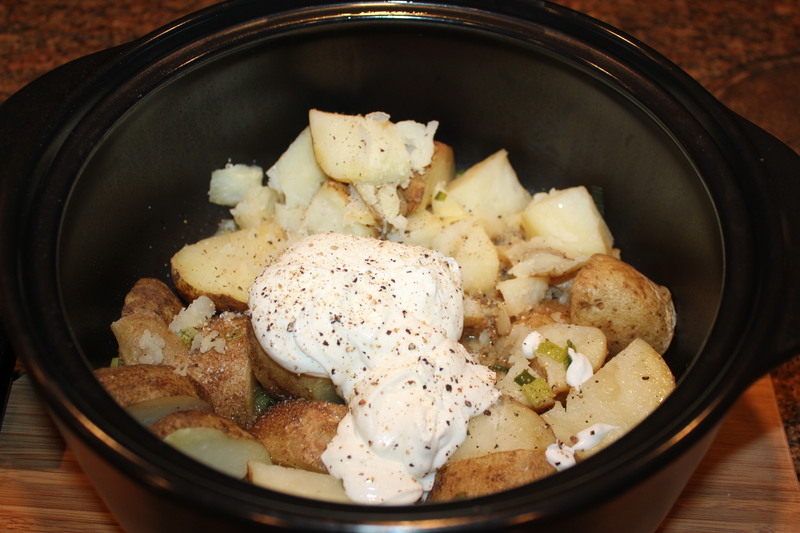 Add the yogurt, salt and pepper to the potatoes. 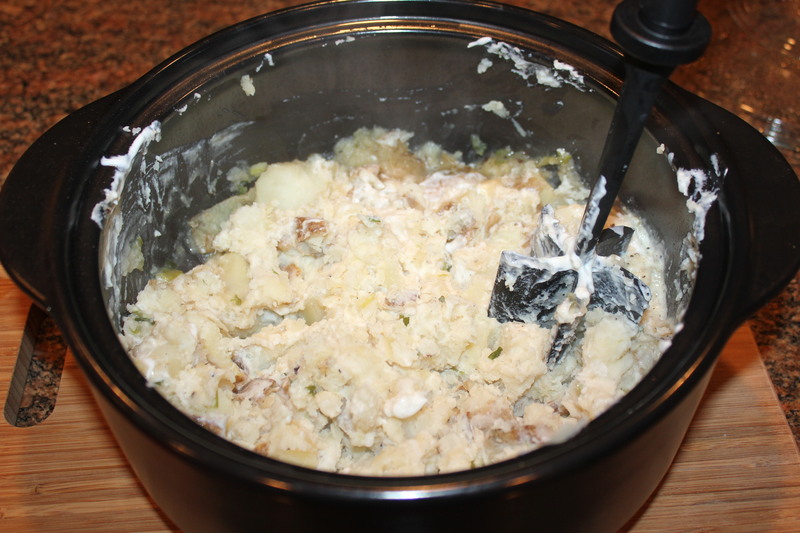 Mash the potatoes, yogurt, salt and pepper until well blended. Sprinkle the potatoes with cheese and bake, uncovered, for 8 minutes or so, until the cheese has melted. 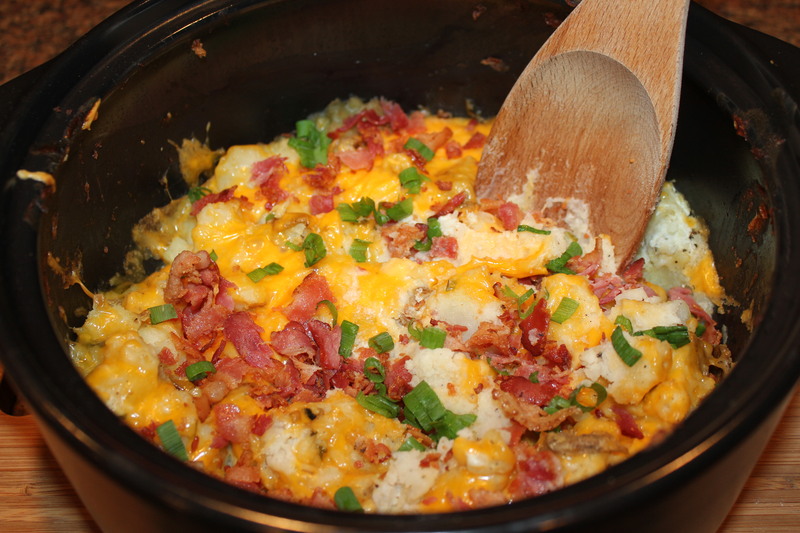 Remove casserole from oven and top with the bacon and reserved green onions. These go great with steaks, pork chops or any other protein that you normally would have a baked potato. 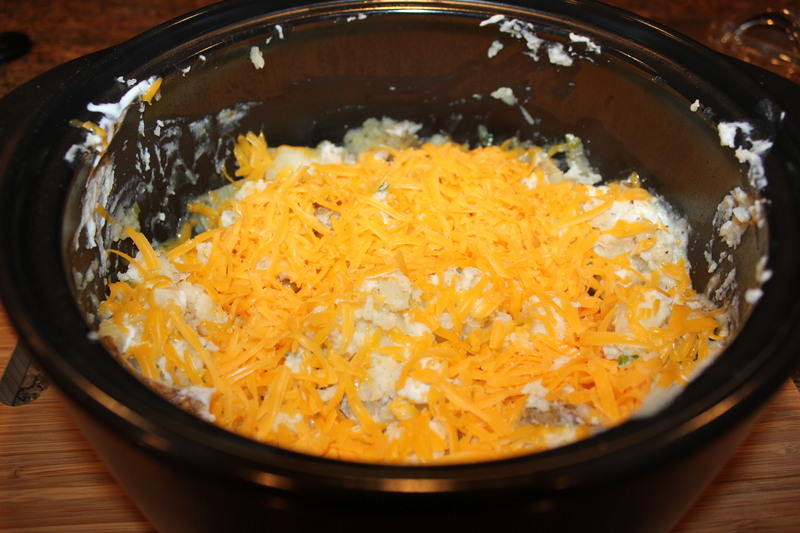 Or do what I did and make a meal of just the casserole by itself – get a spoon and dig in! **Disclaimer: I am an independent consultant with The Pampered Chef. From time to time I feature PC products on this blog, but the content is strictly my own and not paid for nor endorsed by The Pampered Chef. This entry was posted in Recipes, Tools of the Trade and tagged eat drink and be merry, Kel's twice baked potato casserole recipe, Kelley Chisholm recipes, Pampered Chef Rockcrok recipe, Pampered Chef side dish recipe, Potato bacon cheese casserole, Rockcrok potato casserole recipe. Bookmark the permalink.